Celebrate the Holidays with this Festive and Fat-busting Juice! Here’s a great way to celebrate the holidays with this festive and fat-busting juice recipe! Wake up on Christmas morning sipping this tasty and nutritious drink, while making memories, sharing friendships, and gift giving. Chop up produce to fit juicer tube. Turn off juicer when you’re ready to add cranberries and cover with plunger before turning juicer back on to ensure berries don’t fly out. Juice ingredients and stir. Pour into a festive glass and drink as soon as possible. 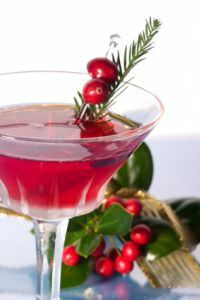 May garnish with small pine tree stem and a few fresh cranberries on toothpick. and a happy, healthy new year.